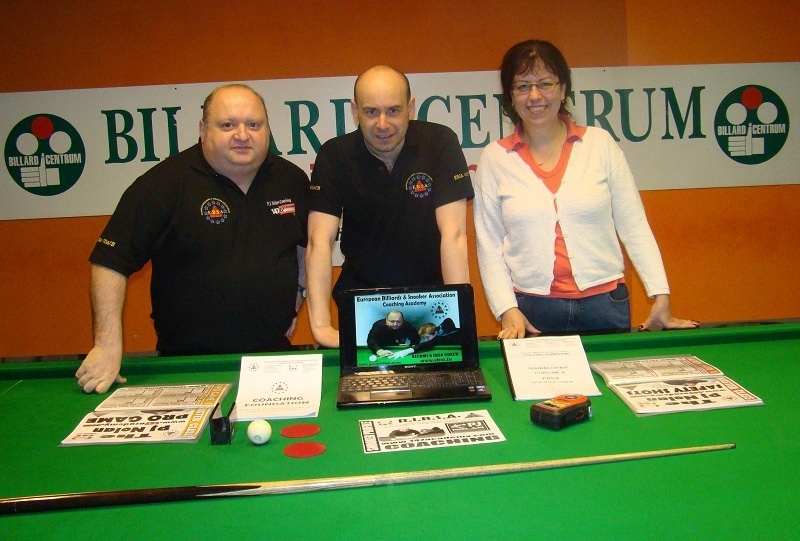 Last weekend PJ Nolan the EBSA Head Of European Coaching travelled to Prague in the Czech Republic to train Tomas Kejla on behalf of the European Billiards & Snooker Association to become an Official EBSA Snooker Coach. The Czech Republic Billiards & Snooker Association nominated Tomas to receive training and hold the course from the 7th to 11th of April in the Billiard Centrum Sports Club in Prague as the EBSA Coaching Course is only open to recognised snooker coaches who are approved by their own National Governing Body. Tomas Kejla is very well known in the Czech Republic as he is the former President of the Association. He is the head snooker commentator on Eurosport and the most experienced coach after running a training academy in Prague for a number of years. Tomas will now begin his EBSA probation period where he will complete all the necessary assignments in the Czech Republic to graduate to become a fully accredited EBSA Coach. The EBSA will then have a team of twenty seven coaches who are promoting the game all around Europe. 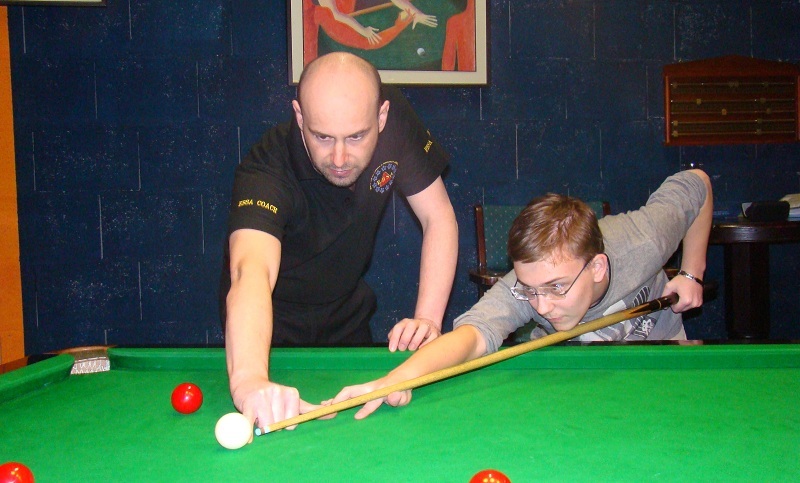 The EBSA Snooker Coaching syllabus includes practical exams as well as verbal and written exams covering all the techniques and skills of coaching the game of snooker. This four day Coaching course in Prague covered all aspects of the game from Planning Sessions, Designing Routines, Role of a Coach, Sports Psychology, Rules of the Game, Practice Exercises, Getting out of and laying Snookers, Written Records, Safety Play, Shot Selection, Oral Assessment, Preparation for Match- Play, Physical and Mental Etiquette and on the final day they completed the EBSA coaching written exam. Would you like to become a EBSA Coach ?